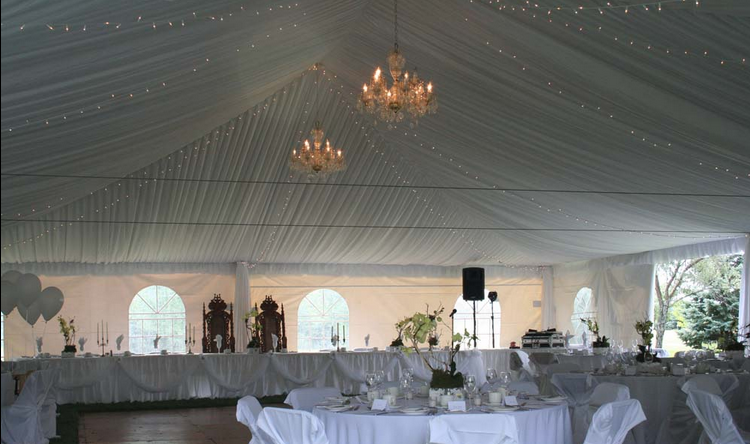 If you’re hosting an outdoor wedding this year, you’re most likely going to need a tent. 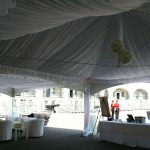 If you are in a private location or your reception venue doesn’t already have tents available, it will be up to you to rent one. 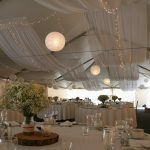 Before you call any tent rental company you should check with your reception or ceremony venue and ask which company they have worked with before, and which are the most reputable and call those ones. When it comes to your wedding, free recommendations are like gold! 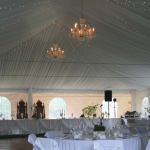 To prepare to speak to the rental companies – have your date pinned down, the number of guest expected, your ceremony and/or reception venues booked, and the times of your ceremony and reception set. 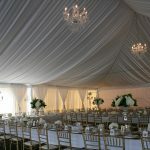 Or, you may want to collect information from them first on the size of tent(s) needed, dates of availability and pricing. You’ll also want to know if there’s anything you have to do before the tent arrives and before the tent gets packed away when you’re done. Once you have details collected and your list completed, now go with your gut and rent from the company that most impressed you. If their prices are bit more, tell them that a competitor offered the same services for less money, maybe you’ll save some cash for your honeymoon! Happy planning! !